Here are all of the qualifying matches we have competed in at the 2015 PNW District Championship in Cheney, WA. Scroll the the bottom for some stats. 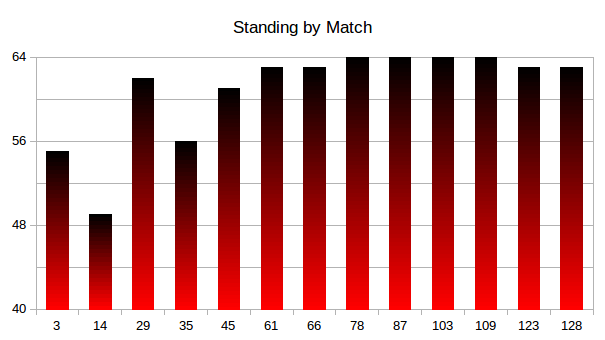 Note: since match 128 was the final qualification match, it is shown on two of the graphs below. We did not compete in match 128. Please note that the y-axis starts at 110 points. This graph represents our position out of the 64 teams, 64 being 1st place. Note that the y-axis starts at 40 in order to show more detail. 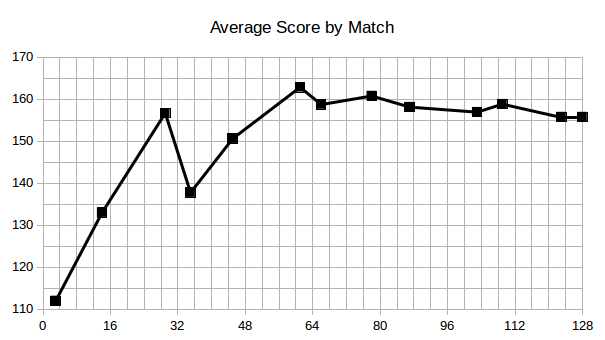 This graph shows final score of every match in which we competed. 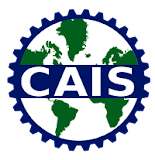 Our alliance is always represented as red. 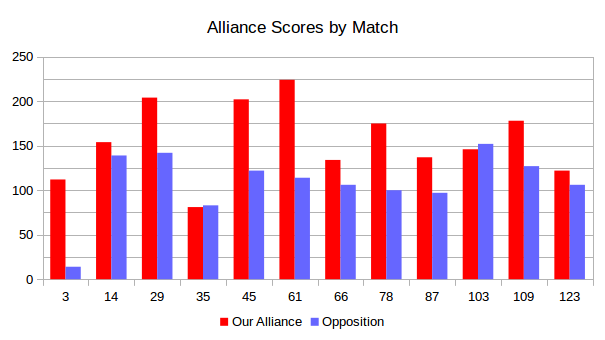 We won every match in which the red bar is higher than the blue.